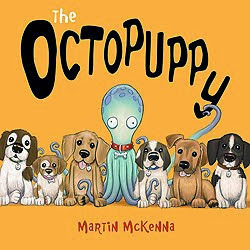 I'm thrilled to pass on the exciting news that the French edition of The Octopuppy, published by Editions Père Fouettard as Entre Chien et Poulpe, has been short-listed for the French literary prize Les Incorruptibles. It's a competition that runs every school year, in which children vote for their favourite picture book from a short-list of five. 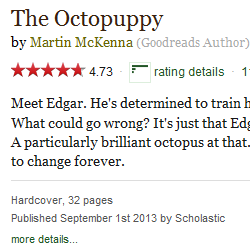 The Octopuppy has made the short-list for 2016-17 and the winner will be announced in June 2017. 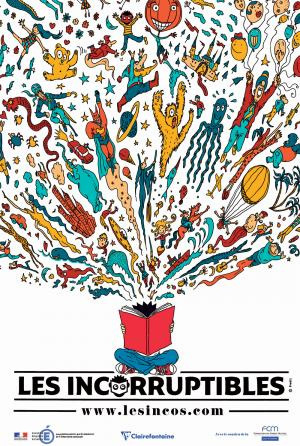 It's one of the most famous awards in France for children’s literature, so this is lovely news.